If it wasn't for the adrenaline filled thrill ride known as Mission: Impossible – Ghost Protocol, the television turned film franchise might have run out of gas long before Christopher McQuarrie got to put his personal touch on the equally impressive Mission: Impossible – Rogue Nation. Both of those films owe their success in part to the comedic and action adventure timing of Jeremy Renner, and it looks like McQuarrie is teasing the possible return of our man Brandt. A Twitter exchange broke out between writer/director Christopher McQuarrie and his potential Mission: Impossible 6 star, Renner. Though, to be fair, Jeremy Renner started it; and McQuarrie definitely knew how to finish it. All clowning aside, it wouldn't be a total shock for Mission: Impossible 6 to be including Jeremy Renner in its talent roster. Ever since his first appearance in Mission: Impossible – Ghost Protocol, the William Brandt character has been a key figure bridging the unorthodox methods of Ethan Hunt's Impossible Mission Force team, and the wants and wishes of whomever is serving as the current director of the IMF. Though bureaucracy hasn't stopped Brandt from getting a piece of the action himself, a fact that is reflected in the "stretching" remarks made in the tweets above. Of course, this is far from an official confirmation of any Mission: Impossible 6 casting. 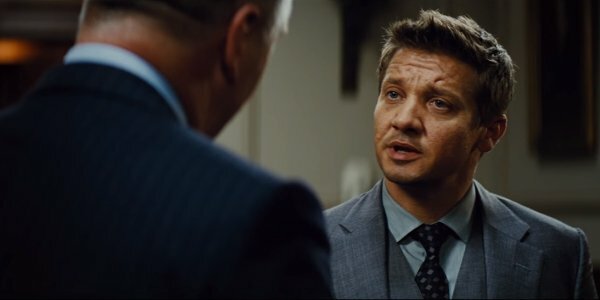 But considering this round of Twitter casting information took place between Jeremy Renner - who was already retained for Mission: Impossible – Rogue Nation, and Christopher McQuarrie – who's already signed on for his second director's gig in the franchise, this news seems to land in the middle of the spectrum. With a production schedule that's looking to start at some point this year, keeping in mind a potential summer 2017 release date, Renner's possible confirmation could be closer than we'd thought. Bringing William Brandt back to the IMF team for Mission: Impossible 6 is an idea that seems as natural as breathing. With Jeremy Renner bringing both humor and action skills to a team with which he has perfect chemistry, it would be a crime not to bring him back for the latest sequel. Much like Ving Rhames and Simon Pegg before him, Renner has become a fixture in the Tom Cruise lead franchise. We look forward to any further developments that occur in the near future, and as soon as we have something new to report, you'll be the first to know! In the meantime, you can see Jeremy Renner taking up his bow and arrow once more as Hawkeye in Captain America: Civil War, which hits theaters on May 5th!